Place garlic cloves, fennel seeds, salt, peppers and parsley into a food processer. Pulse a few times to grind together. 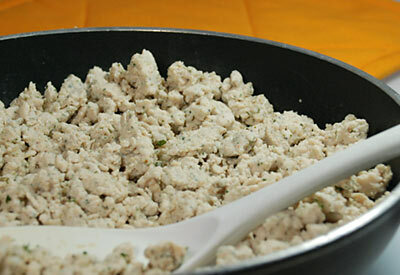 Add ground turkey breast and process to blend turkey and seasonings. Use in any recipe calling for ground turkey sausage. -Sausage can be shaped into patties and grilled or sauteed and served as a breakfast sandwich or alongside eggs. -Cook sausage in a saute pan, breaking up and crumbling as the meat cooks then adding to your favorite spaghetti sauce or pasta recipe.